It’s a piece of cake. You can’t put lipstick on a pig. Why add fuel to the fire? Idioms are those phrases that mean more than the sum of their words. TED Translators are often challenged to translate English idioms into other languages. 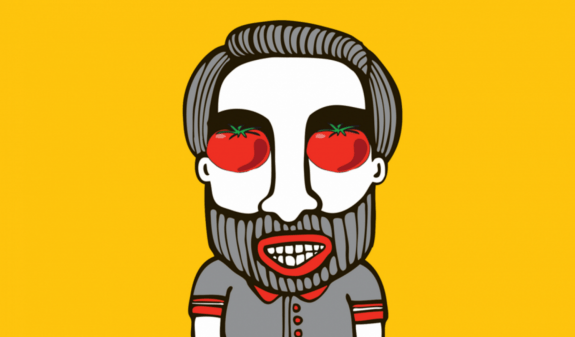 Which made us wonder: what are their favorite idioms in other languages? Below, TED Translators share their favorite idioms and how they would translate literally. The results are laugh-out-loud funny. This article has been adapted for TED-Ed from this great TED Blog post. Read the Portuguese idioms. We say “pagar el pato” in Spain, too. Avaler des couleuvres doesn’t mean to be insulted to a point you can’t reply. It means being forced to agree to an opinion or action (for instance in order to keep your job, or to save a relationship) in a situation where you feel humiliated to do so. It can also mean being aware of being lied to and not being in a position to respond. To buy a cat in a sack exists in French too : acheter chat en poche which means buying without checking what you are being sold. But this expression is rarely used today. To take oneself in one’s hand translates exactly the same in French : se prendre en main. In Norwegian we swallow camels = “Å svelge en kamel”. This means the same as you describe here, when I first read the “swallow grass snakes” description I thought it was close, but not the same. But the description you add is more accurate for the camel-swallowing idiom. We also buy cats in sacks in Norway. And if we think something does not feel right, as if you are beeing lied to or sensing that someone is purposely misleading you, you can say that you are “sensing owels in the moss” (aner ugler i mosen). If you think someone is a bad guy /criminal you question if he has “pure flour in his bag” (rent mel i posen) – meaning that he has not dilutet his flour with something else. Also we have “buying something for a lolipop and nothing” the same as the dutch “egg and apple” (kjøpe noe for en slikk og ingenting), buting something really cheap. In Portuguese we could say: “engolir sapo” same meaning. In my mother tongue Burushaski, “Siley Bash” literally means “bridge of water”. The Portuguese idiom “Quem não tem cão caça com gato”, is wrong, and most people use it the wrong way. The right way is “Quem não tem cão caça COMO gato” which literaly translates as “He who doesn’t have a dog hunts like a cat”, but the meaning is basicaly the same. Very interesting post!! These translations could be useful for the beginner translator, who wants to learn the process of translation in a fun way. Acctually, those idioms which Ivan Stamenkovic has sent you are serbian. Franse slag, is a quick battle… French used to hastily attack without much preparation.